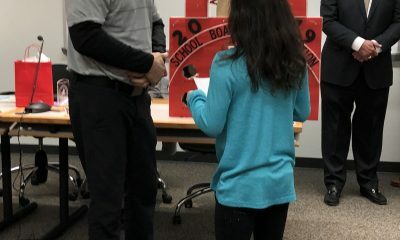 January is National School Board Recognition Month. 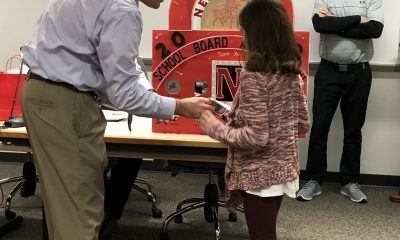 In order to honor the work of our Board of School Directors, several students, as well as faculty and staff members, gathered together to present each Director individually with a token of appreciation. 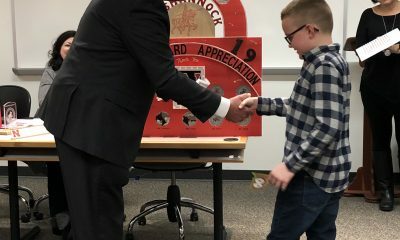 Board members were truly touched by the kindness and gratitude shared throughout the evening. 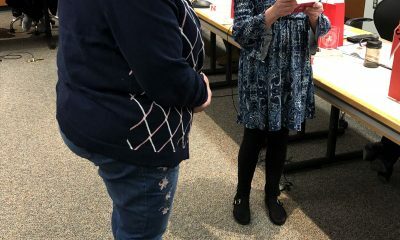 Mrs. Karen Ionta, Interim Director of Special Education, graciously welcomed all in attendance and shared kind words about the selfless work of our board members. 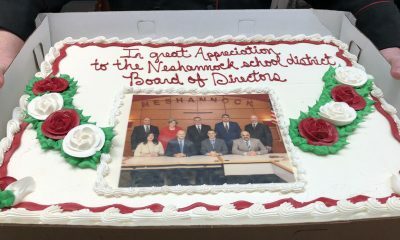 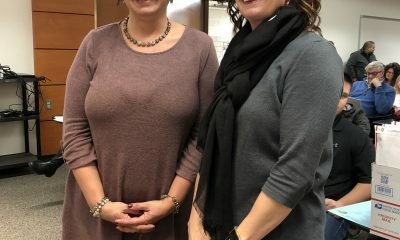 Their dedication to our mission and vision ensures a bright future for students of Neshannock Township School District. 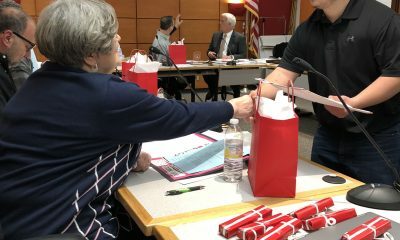 Each board member was presented a gift made by Mr. Gregg Micsky’s CAD students. 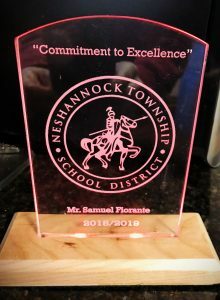 The following students worked to create this unique, personalized gift: Kailan Alduk, Angelo Arnold, Nicholas Cioffi, Patrick Copple, Jared Hendry, Alec Jackson, Noah Kalpich, Jason Kramer, Christopher Kreitzman, Russell Kwiat, Joseph McCollum, Cameron McConnell, Joseph Morgan, Maya Mrozek, Nicholas Mundekis, Matthew Parkonen, Phillip Schaville, Dylan Shaffer, Tristan Tuck, Joshua Urban, and Jack Wardman. 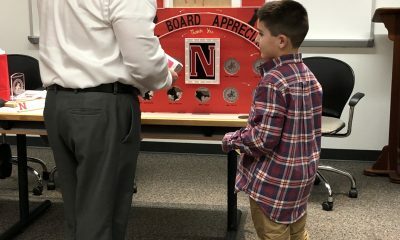 Mr. Ned Yahn’s art students also created unique gifts for the board members. 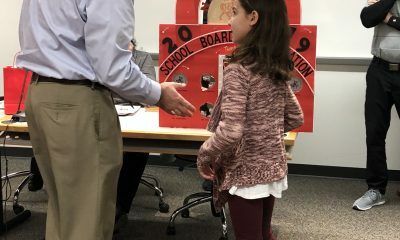 Abbey Shaner shared her artistic talents in creating desk blotters. 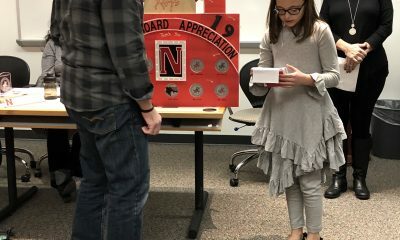 Hannah Veronesi and Madison Fitzgerald played a key role in assembling the one-of-a-kind gift. 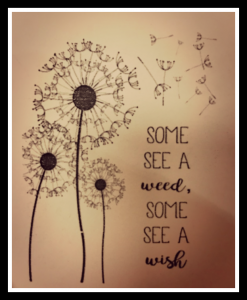 Mrs. Scala’s Transition Students, Dallas Cimini, Mallory Coleman, Dakota Phillips, Matthew Richey, and Jeremy Nativio cut out and framed a rather touching quote. 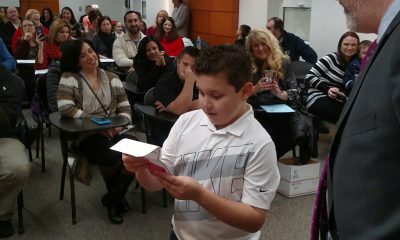 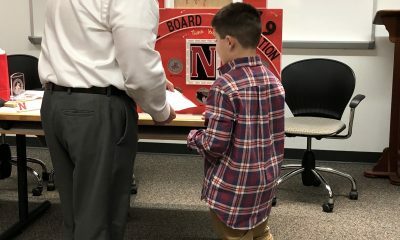 Jeremy Nativio presented the gifts to the board members on behalf of his peers. 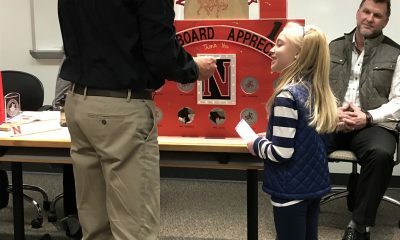 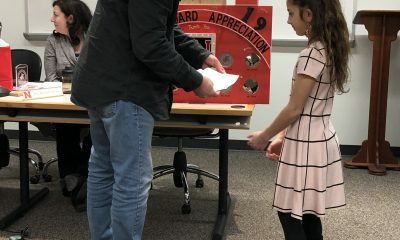 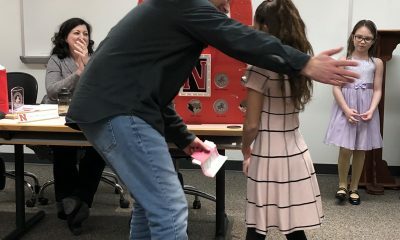 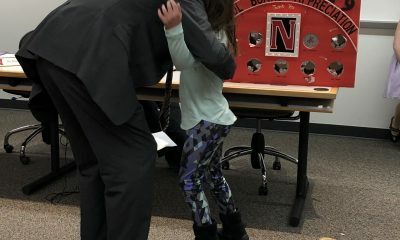 Second, third, and fourth grade students had fun with each board member as they took turns on the “punch board” to retrieve their personalized notes. 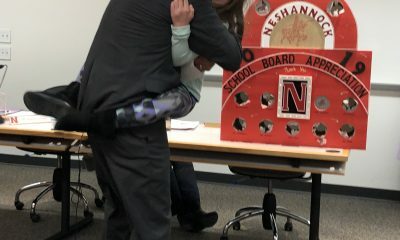 Special thanks to Mr. Jacob Spor for handcrafting the punch board. 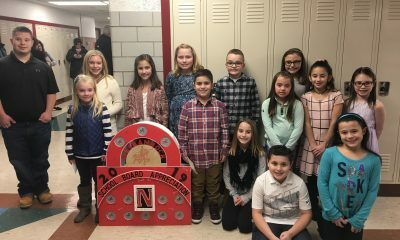 The following elementary students participated in the presentation of gifts: Landry Scheller, Joey DiMuccio, MJ Peluso, Bella Fowler, Maria Keith, Sophia Bonner, Catherine Spor, Anna Measel, Sam Passarelli, Jazelle Mozzocio, Madalyn Arrow, and Gabriella Antuono. 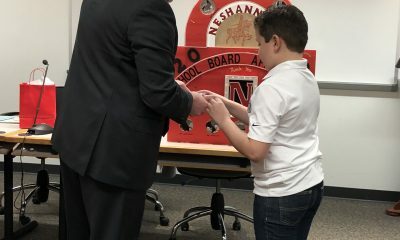 Mr. Luca Passarelli presented each school director with a pen on behalf of his fellow administrators, Mr. Matthew Heasley, Dr. Tracy McCalla, and Mrs. Karen Ionta. 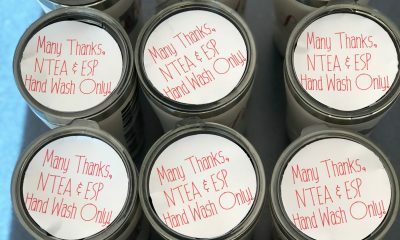 Mrs. Anita Slater, NTEA President, spoke on behalf of Neshannock Township Education Association and Neshannock Township Educational Support Professionals at the meeting. 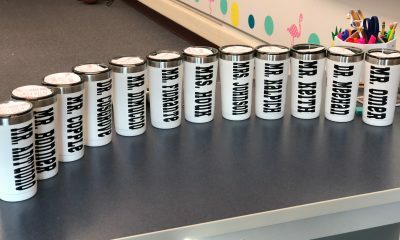 Alongside Mrs. Rose Montini, NTESP President, Anita presented each board member, as well as Dr. Meehan, Mr. DiMuccio, and Mr. Bonner with a personalized tumbler. 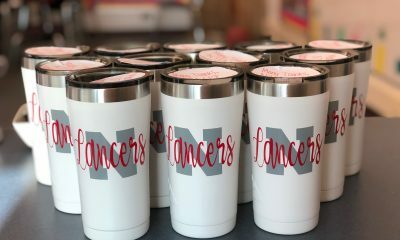 Special thanks to Mrs. Shannon Burick, elementary teacher, for creating the tumblers. 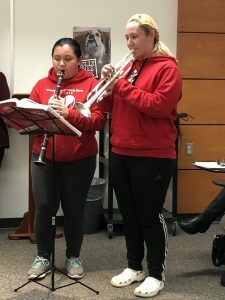 The night would not have been complete without a little music! 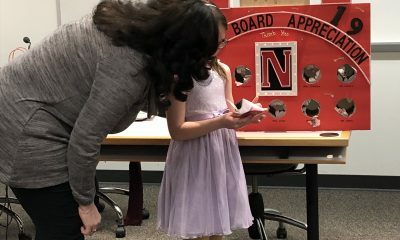 Under the guidance of Miss Kim Heim, Melissa Srun and Kaitlyn Cochenour performed “Bolero” by DeGouy. 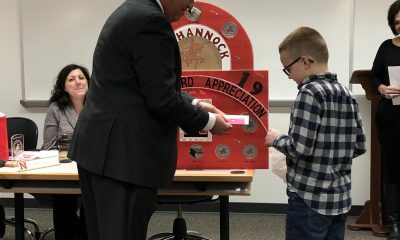 From beginning to end, the evening of celebration and appreciation was perfectly suited for such a dynamic group of individuals dedicated to Neshannock Township School District. 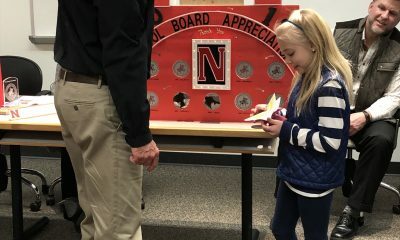 The Neshannock Township School District would like to thank our School Board Members, past and present, for their dedicated service to this District.